Sukkot is a Biblical pilgrimage festival that occurs in autumn on the 15th day of the month of Tishrei (late September to late October). The holiday lasts seven days, including Chol Hamoed. In Judaism it is one of the three major holidays known as the Shalosh Regalim (three pilgrim festivals), when historically the Jewish populace traveled to the Temple in Jerusalem. 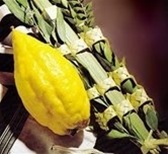 The festival of Sukkot is immediately followed by that of Simchat Torah. Select a category below to view our products. Etrog & Lulav / Boxes Etrog and Lulav Set Decorations, Etc. 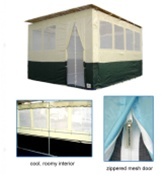 According to halakha, the walls of the sukkah can be made from any material, including wood, canvas, plaster, or regular walls of glass or aluminum. A sukkah may be free-standing, or include one or two sides of a building or porch in its structure. The amount of shade inside the sukkah must exceed the amount of sunlight that can enter through the roof.